The start of the under 12s 1.5K race - we had 8 boys and 5 girls in this race! 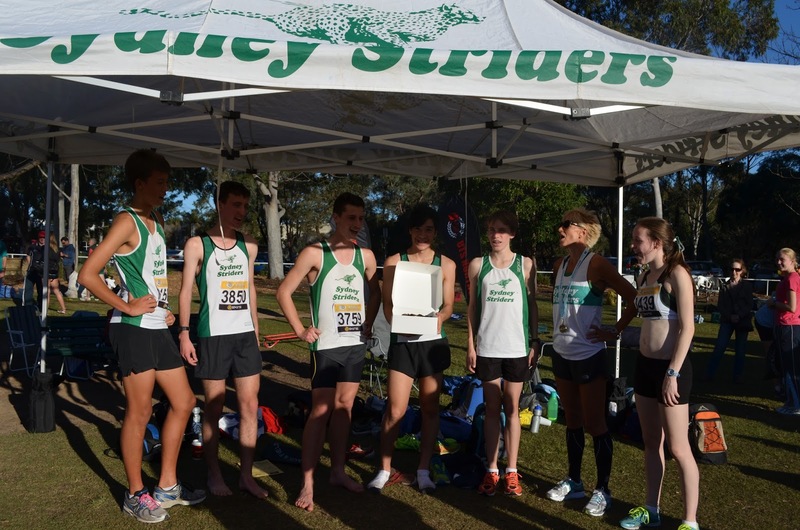 This was our final hurrah! 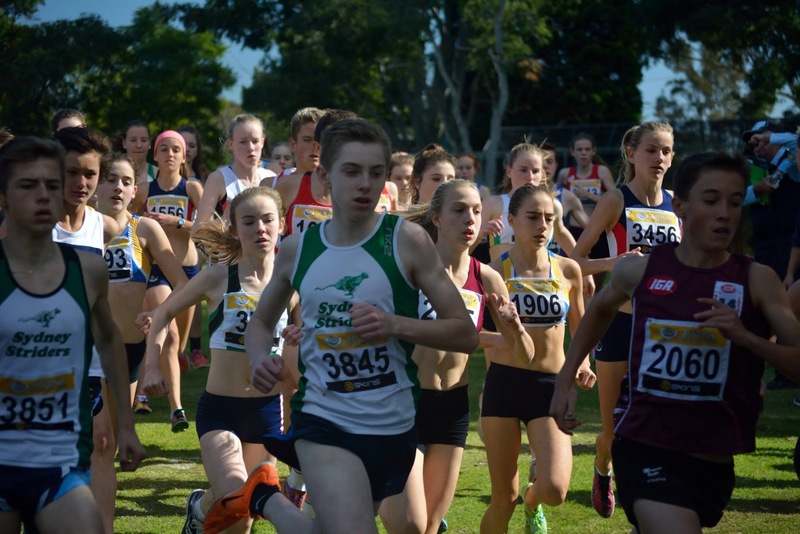 The last team event on the ANSW calendar this winter for juniors. It was, as usual for this event, a lovely, sunny day. 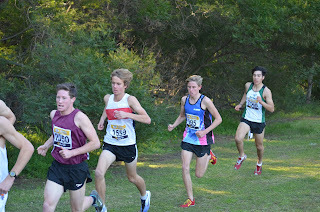 We were out in force for this. 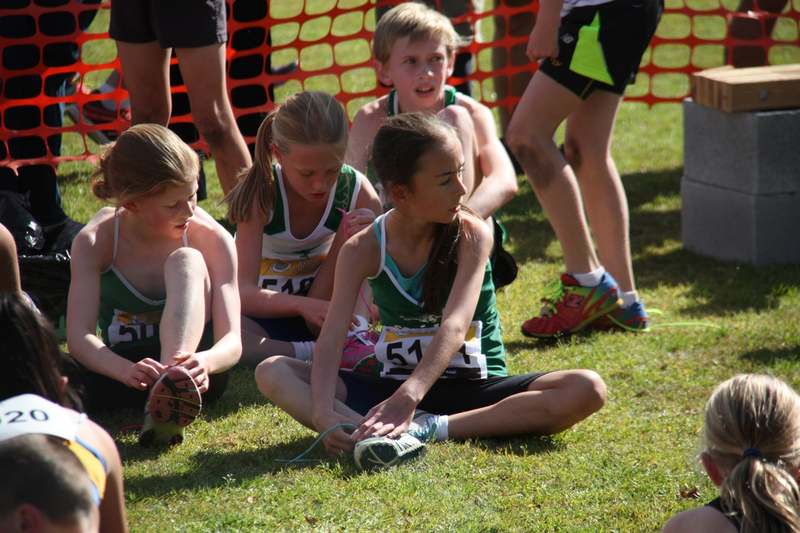 Our under 12 girls won BRONZE in the 1.5K: Nicola Hogg, Emily Gocher, Ciara Sinclair and Emma Kirkland, with Emma O'Reilly not far behind. 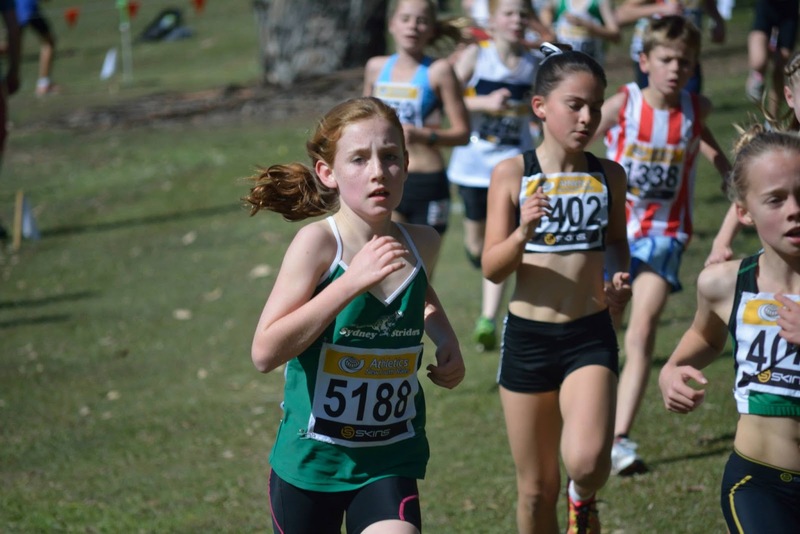 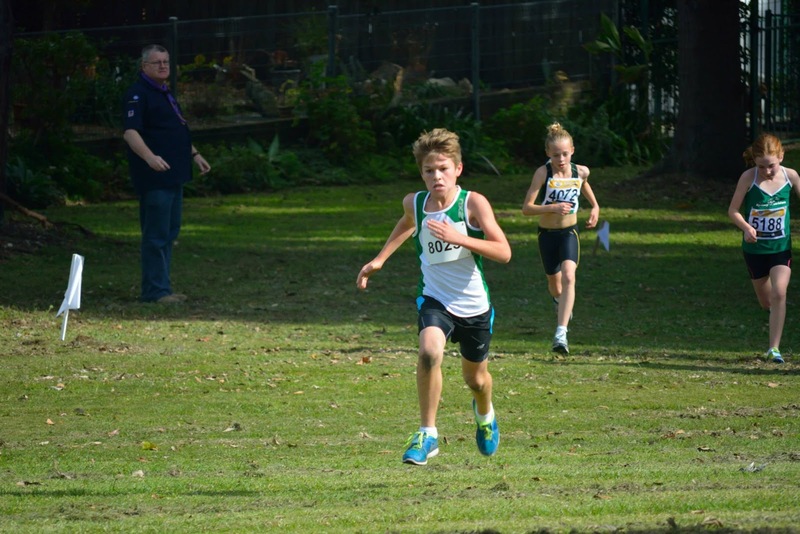 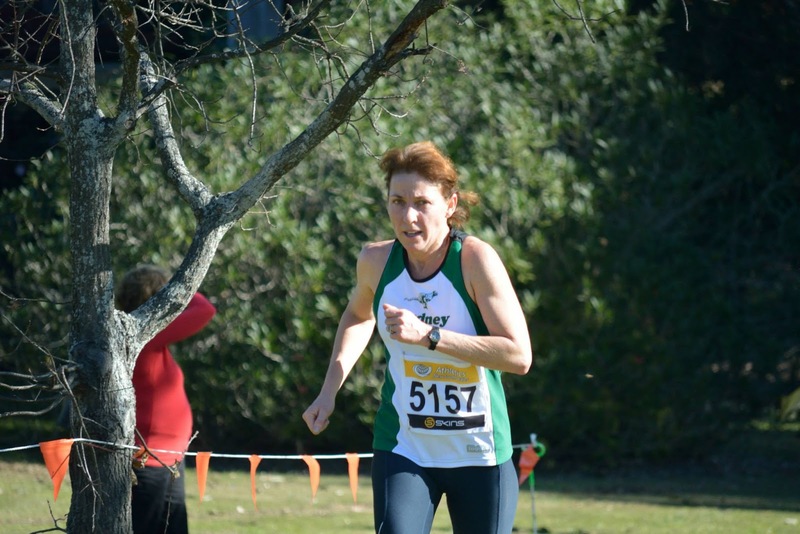 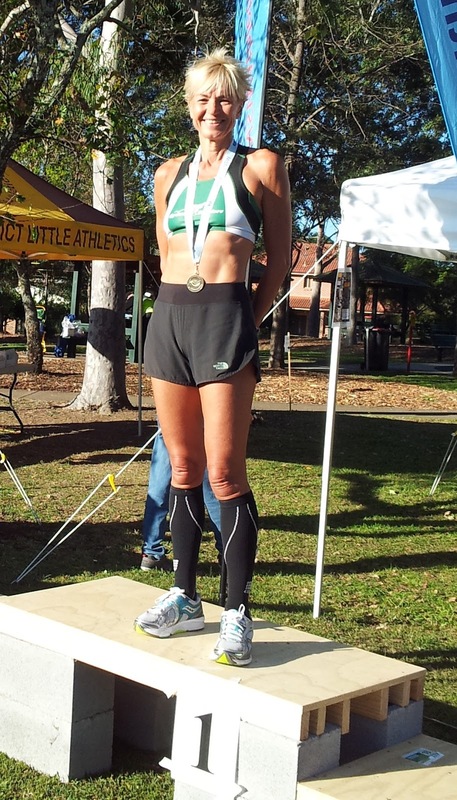 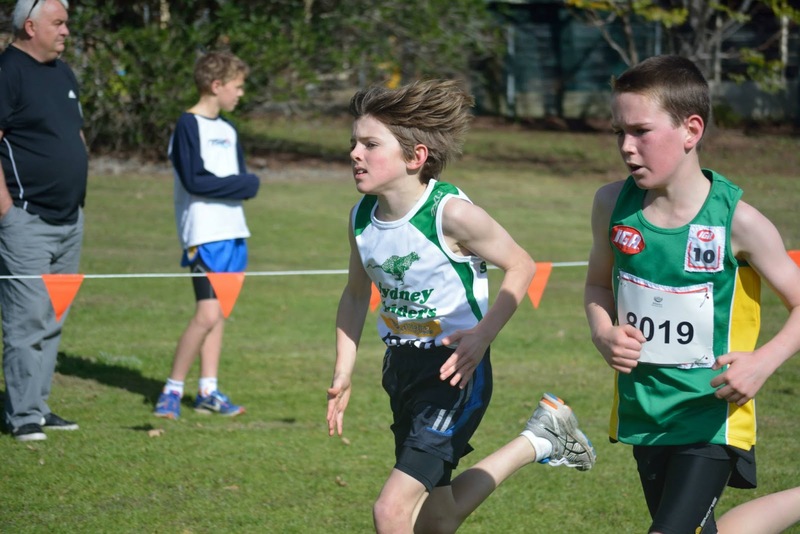 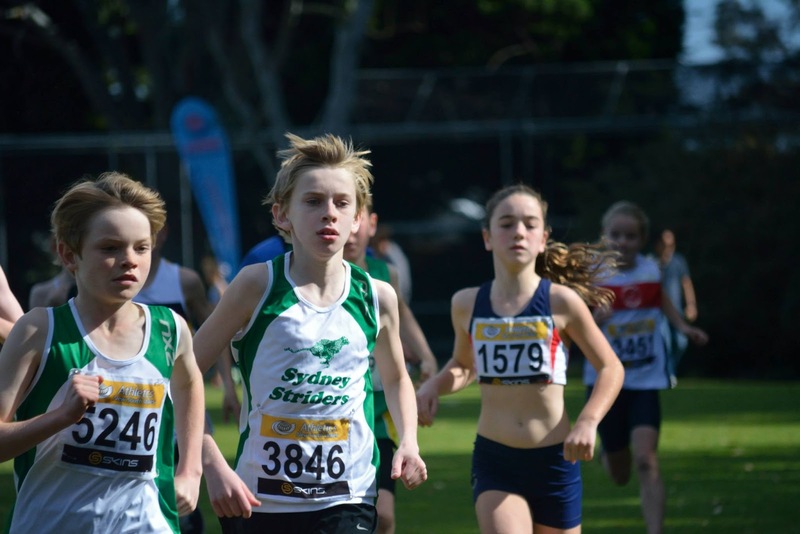 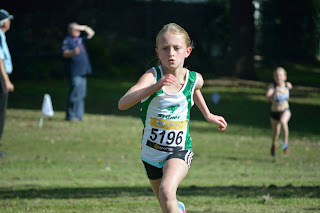 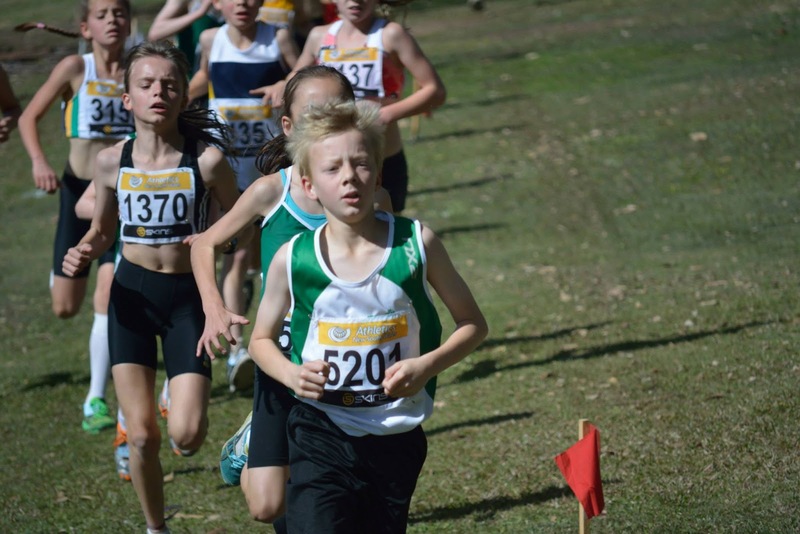 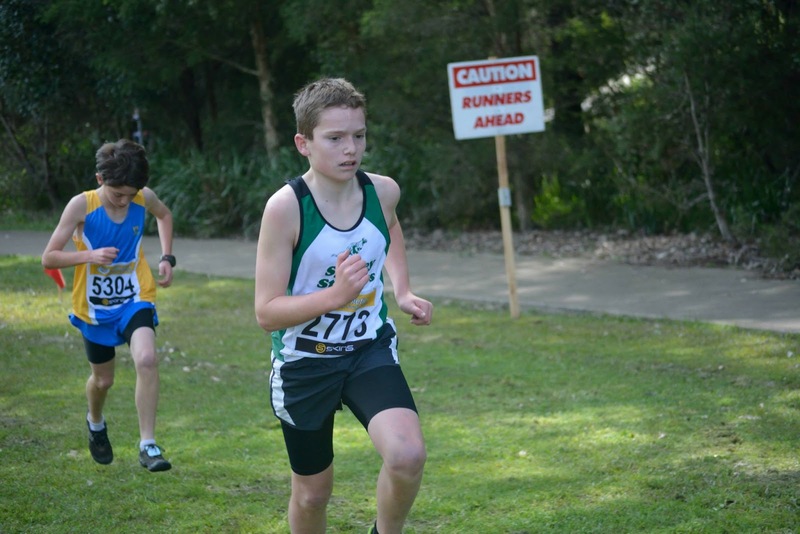 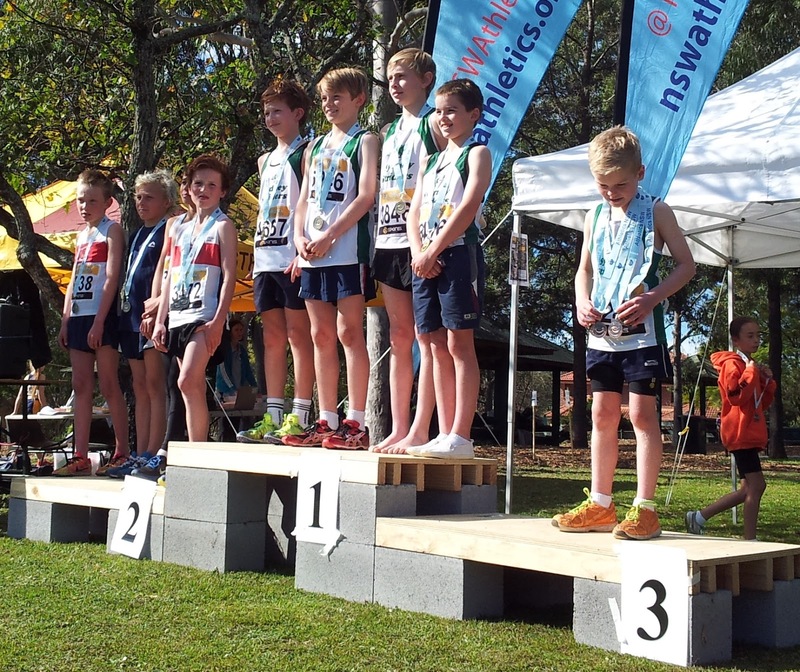 Our under 12 boys A won GOLD: Lachlan Francis, Daniel Cooper, Kieren Gorman and Tom Kirkland, and B won BRONZE: Benji Wilson, Jack Stockeld, Ewan Shingler and Cam Gorman.Lachlan Francis was under 12 state short course cross country champion! 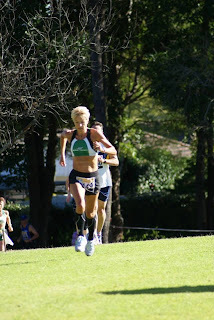 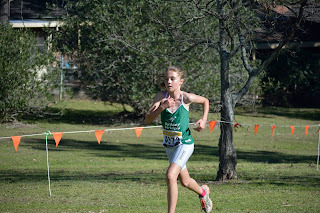 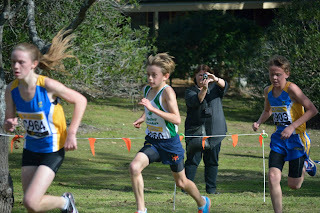 This race was very exciting, with Lachlan moving from 3rd to 1st in the last 200m. 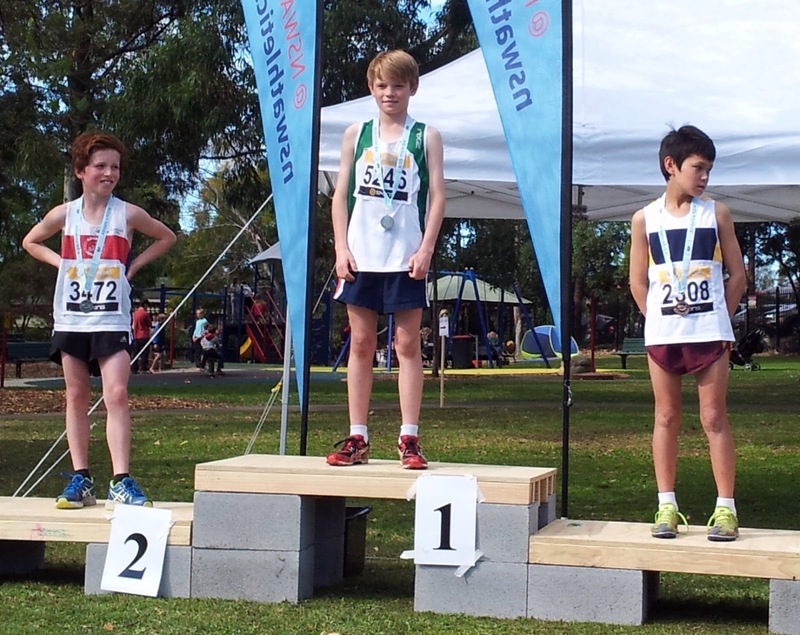 Lachlan Francis on the podium - state champion!! Left to right: Tom Kirkland, Lachlan Francis, Daniel Cooper and Kieren Gorman - Under 12 state champions!!!! 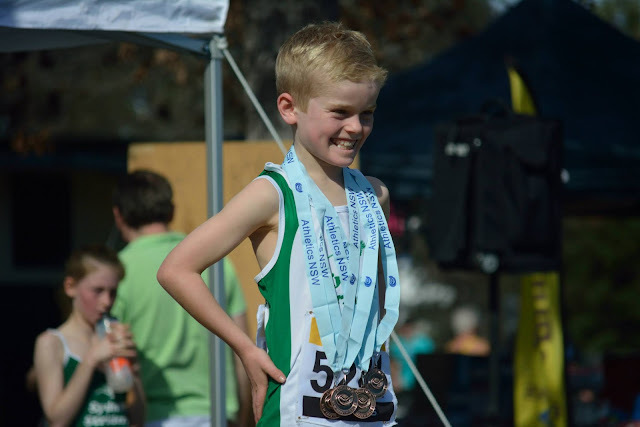 Cam Gorman carries the weight of 4 bronze medals as the rest of his team have gone home. 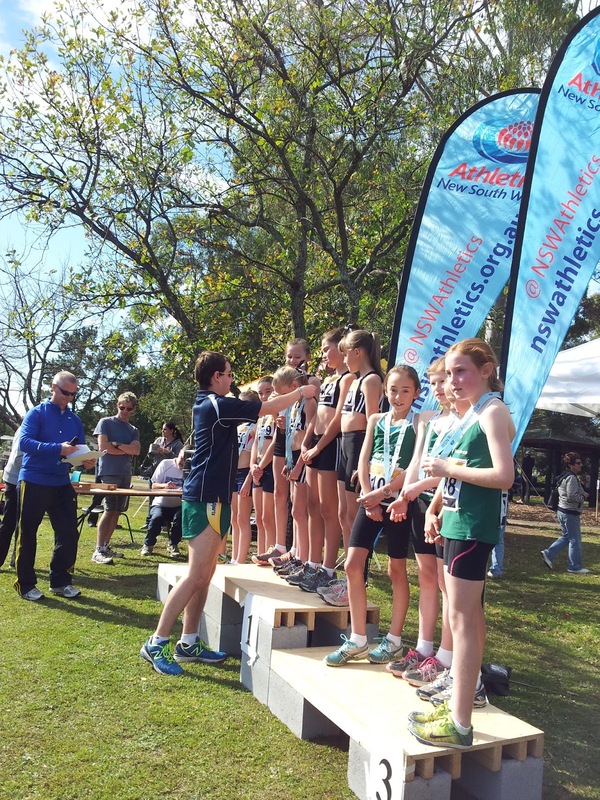 Ciara Sinclair, Emma Kirkland, Nicola Hogg and Emily Gocher with their bronze medals. 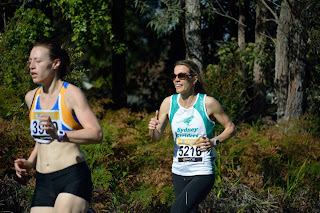 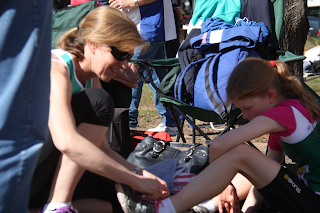 Mum Helen helps Emma with her timing chip. Aren't they lovely? Left to right, the bronze medal winning under 12 girls: Emma Kirkland, Emily Gocher, Ciara Sinclair and Nicola Hogg. 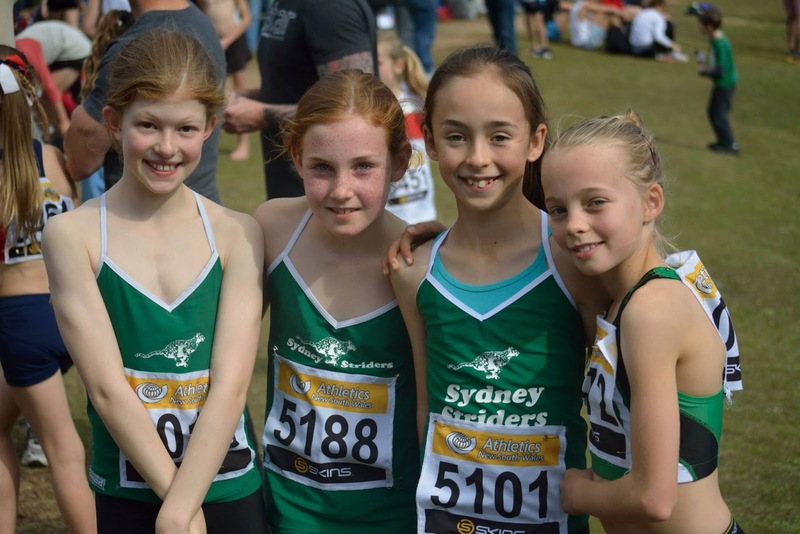 Nicola Hogg and Emily Gocher quickly changed chips to run AGAIN in the under 14 girls 2.5K with their older sisters Olivia Hogg and Sophie Gocher to claim silver - so it was worth it! 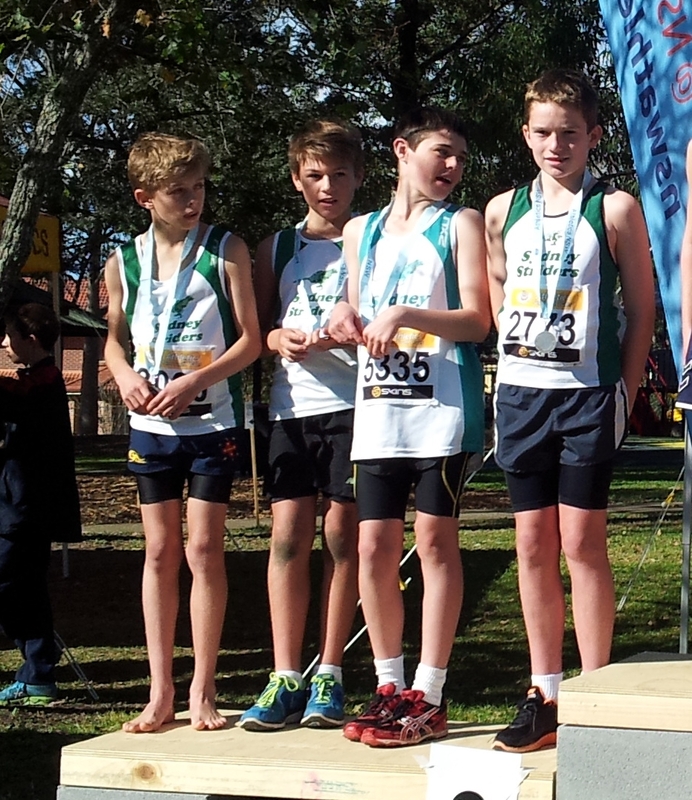 The under 14 boys: Tom Davies, Jack Unterweger, Corey Grace and Liam Gorman also won silver. The under 16 boys won silver in their 2.5K, with Josh Phillips 3rd in NSW overall. 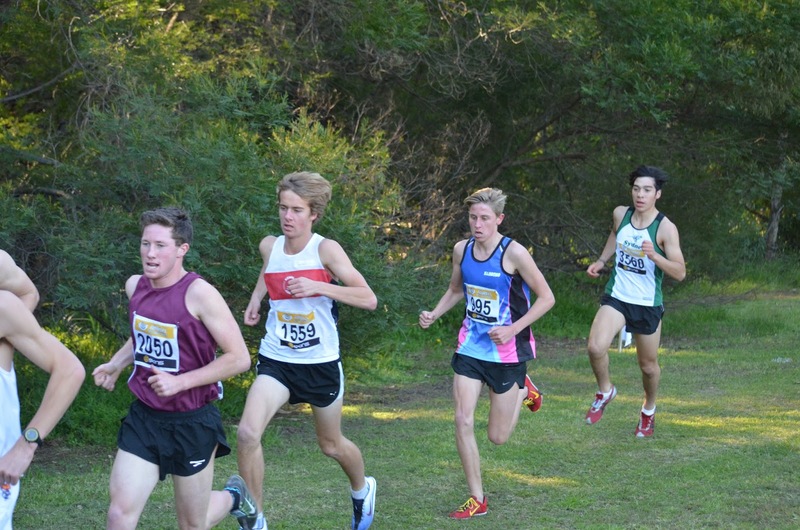 The team included: Josh Phillips, Daniel Watts, Lachlan Cooper and Fraser McKinlay. We had an under 18 girls team with Amelia Gorman, then Jess Francis and Tessa Constantine from the under 16 girls and Olivia Hogg, aged 12, running for the second time to make up the team! 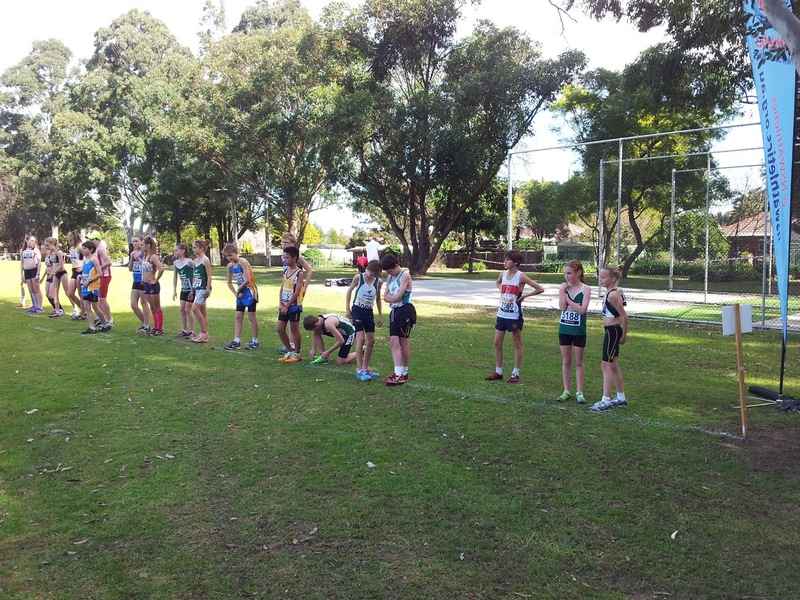 Just after the start of the combined under 16 boys and girls 2.5K and the under 18 girls 2.5K. 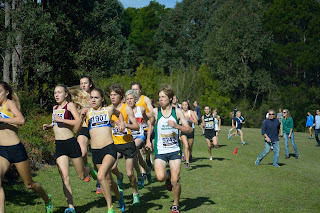 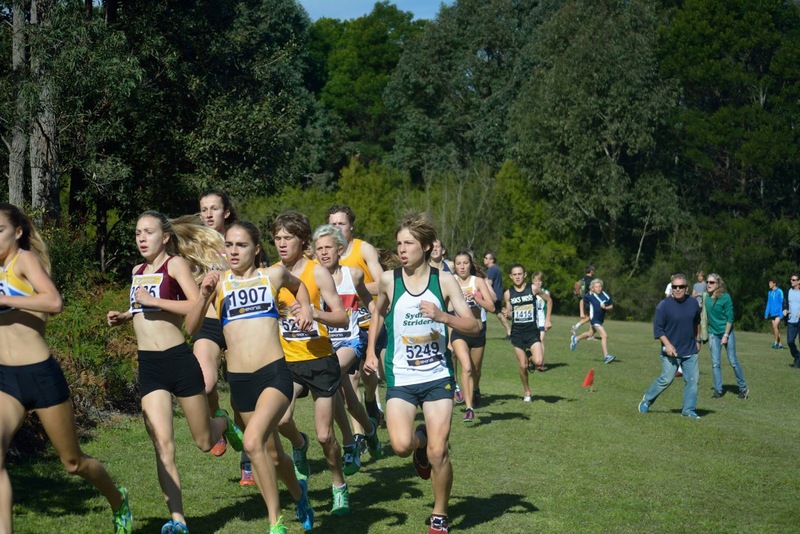 Left to right: Josh Phillips, Jessica Francis and Lachlan Cooper. Josh Phillips is 3rd in the state, and he is 'at the young end of the 2 year age band'. 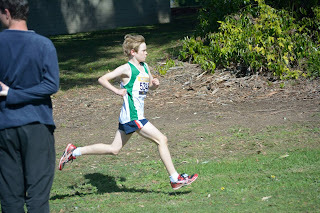 In the 5K Daniel Francken was first home of our under 18 boys, running on his 16th birthday (we had cake), followed by Adam Halmy, David Gardiner, Paul Loader and Gus Wong to win silver. 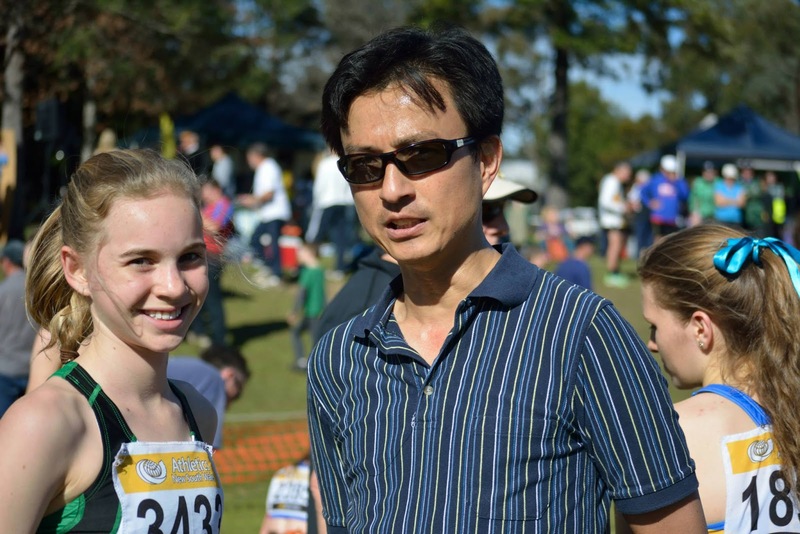 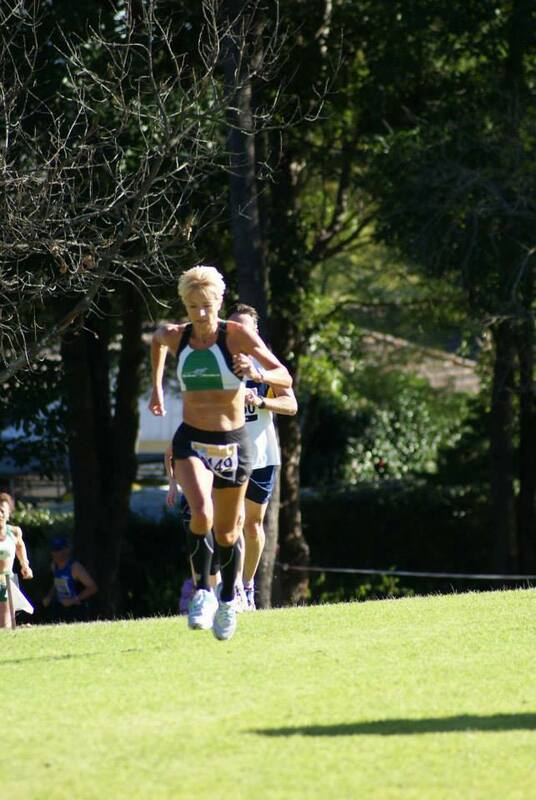 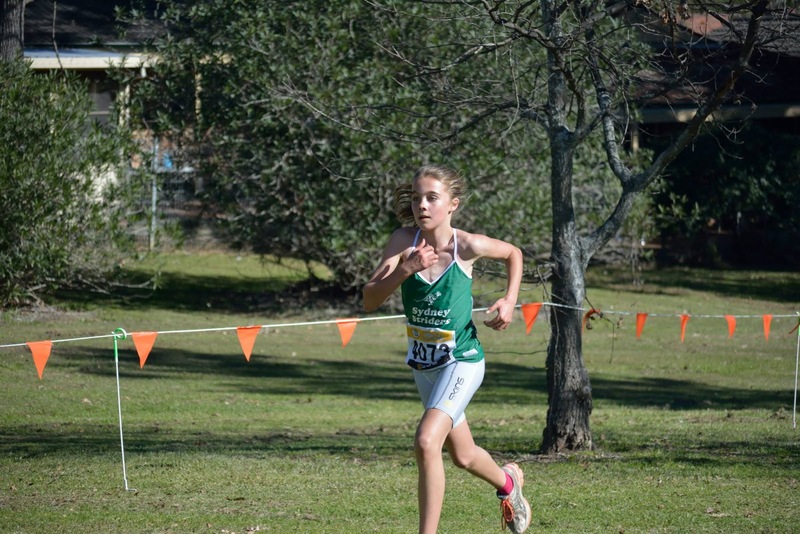 Bethany Halmy ran 5K valiantly on her own in the under 20 girls. Gus Wong, David Gardiner, Paul Loader, the birthday boy Daniel Francken himself, Adam Halmy, Caroline Yarnell and Bethany Halmy socialise in the Striders tent on Daniel's 16th birthday, with his cake. 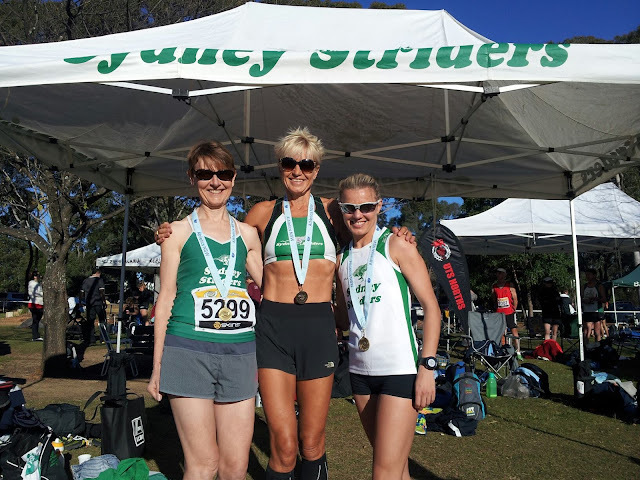 Left to right: Mary Stringer 55+ state champion, Caroline Yarnell 50+ state champion and Anna Fitzgerald 35+ state champion. 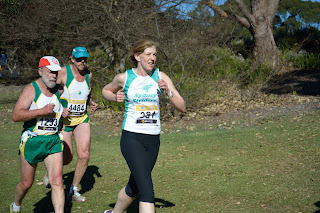 Go Striders!!! !